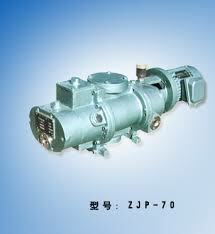 The series SYF roots vacuum pump is with overflow valve. 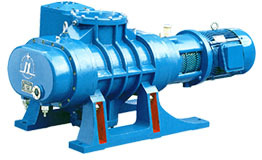 The figure-of-eight rotors are counter-rotating at a constant speed inside the pump housing for suction and exhaust of gas. 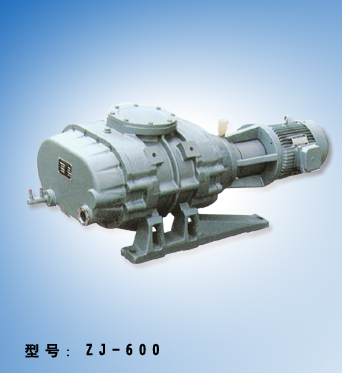 Two rotors are supported by two bearings and synchronized by a gear, which ensures these two rotors in certain relative positions. 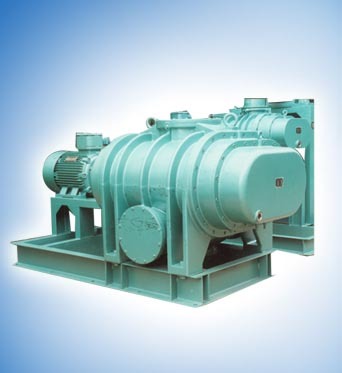 They are near to one another and to the housing without actual contacting, so lubrication is unnecessary in the working housing. 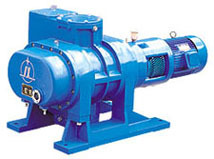 The carefully balanced operating parts and high precision bevel wheels ensue the pump be operated stably and continuously under the condition of high-pressure difference. 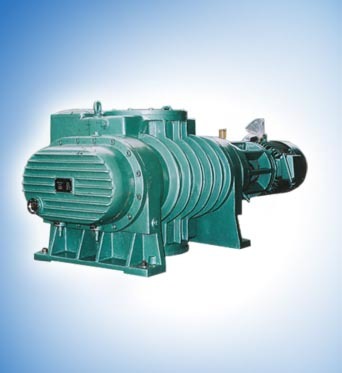 Dynamic seal part use our patent technology and imported oil seals, the vibration amount of shaft on the shaft seals is controlled to less than 0.02mm. 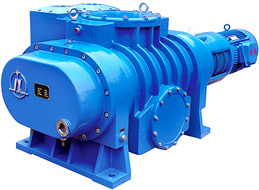 A gravity valve is installed between the suction and exhaust part of the pump. 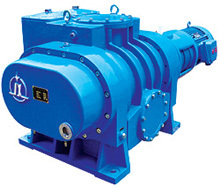 The function of the gravity valve is as follows, when the pressure difference between the suction and exhaust part is over the weight of the valve, the valve opens automatically, which makes the pressure difference always keep in a fixed controllable value, the value is the allowable highest pressure difference to ensure the pump work normally and so that in fact, the roots vacuum pump with overflow valve is a kind of overload self-protective pump. 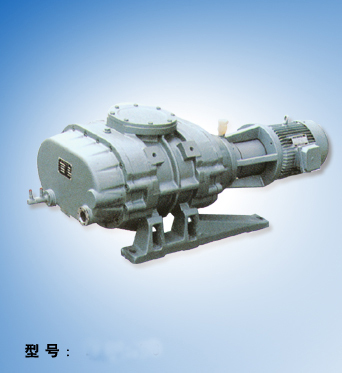 Series SYF roots vacuum pump with overflow valve has substantially higher speed at relatively lower inlet pressure and it is possessed overload self-protective function. 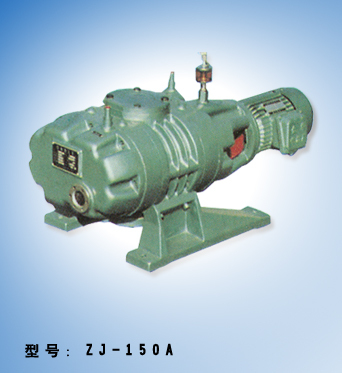 Because it is a pump of dry clearance seal construction, if a certain pumping speed rate and an ultimate vacuum need to be obtained, it is necessary to supply a lower inlet pressure for reducing the back flow, therefore, a pump must be backed in use, roots vacuum pump should be started soom after its inlet pressure reaches a permissible value for economization. 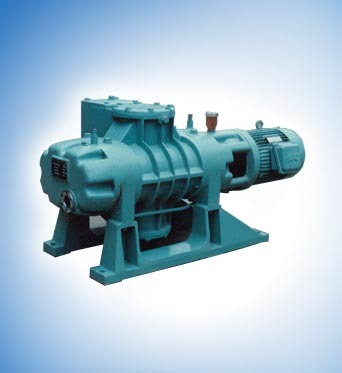 It is permit to select different kinds of pump as the backing pump for factual requirements, such as oil seal pump and liquid ring vacuum pump. 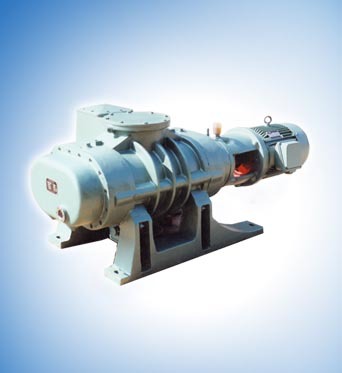 When pumping the gas containing large amount of vapor, the liquid ring vacuum pump is the ideal backing pump.